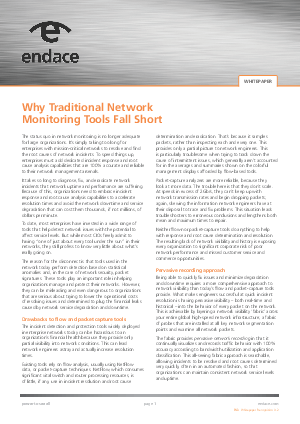 The status quo in network monitoring is no longer adequate for large organizations. It’s simply taking too long for enterprises with mission-critical networks to resolve and find the root causes of network incidents. To speed things up, enterprises must add dedicated incident response and root cause analysis capabilities that are 100% accurate and reliable to their network management arsenals. It takes so long to diagnose, fix, and eradicate network incidents that network uptime and performance are suffering. Because of this, organizations need to embrace incident response and root cause analysis capabilities to accelerate resolution times and avoid the network downtime and service degradation that can cost them thousands, if not millions, of dollars per minute.